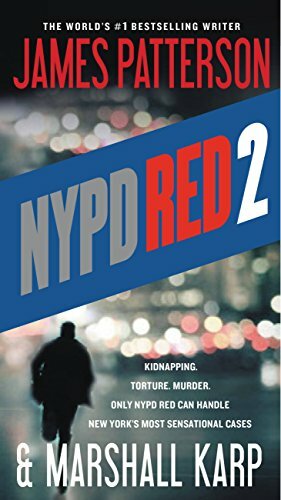 NYPD Red 2 Redux: “A dozen Chinese men from twenty-something to eighty-something were grouped in a semicircle, chain-smoking and watching two men hunched over a makeshift table. 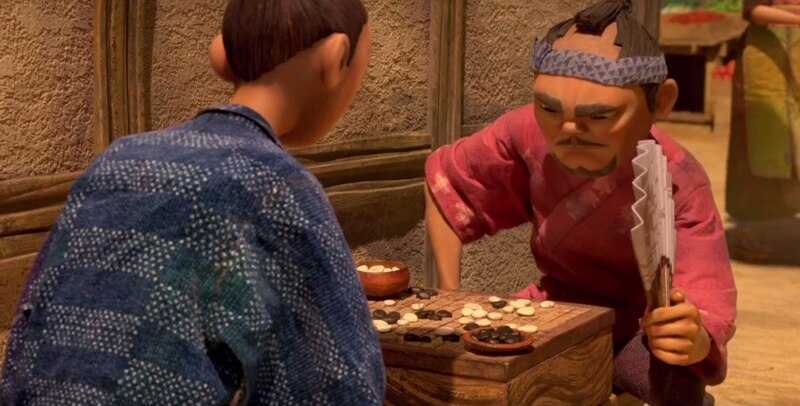 They were playing Go, the two-thousand-year-old Chinese board game.” From “NYPD Red 2” by James Patterson & Marshall Karp, sent in by EJ reader Gene Halverson. See also Go Spotting: Patterson’s NYPD Red 2 (7/24/2015). Buzzfeed’s “10 Awesome Board Games”: Go made Buzzfeed’s list of “10 Awesome Board Games You Probably Haven’t Heard Of” back in 2012. It came in at #6, behind Eureka, The Settlers of Catan, Dominion, Diplomacy and Say Anything, but it did beat out Agricola, Wits & Wagers, Puerto Rico and Betrayal at House on the Hill. “While ‘Go’ is, in essence, two players just taking turns laying stones on a grid,” says BuzzFeed, the level of depth to the game is actually astounding. photo: Luis de Bethencourt / CC BY http://2.0 / Flickr: luisbg; thanks to Joshua Guarino for passing this along. Ralph Hewins’ The Japanese Miracle Men (1967) provides portraits of the most influential Japanese tycoons of the post-war period, “and for several of them it is highlighted that they were keen go players,” writes Erwin Gerstorfer. 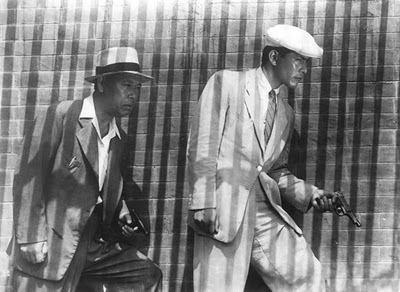 “Some of them even having the highest amateur Dan level of that time.” Among the go-playing tycoons behind the economic rise of Japan after World War II were Taizō Ishizaka and oil magnate Taro Yamashita. In the book, Ishizaka, who was president of the Japanese Federation of Economic Organizations and promoted go internationally, relates his go experience and his success in business, Gerstorfer says. 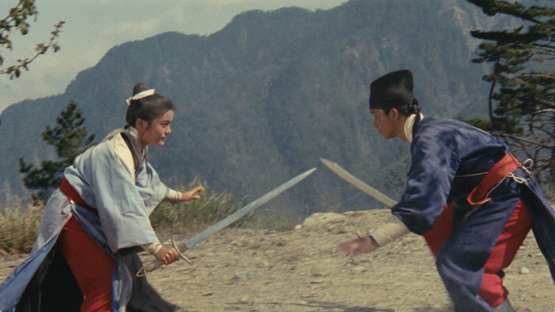 “Recently saw the films My Golden Days (2015) and Dragon Inn (1967, left) at the Cleveland Cinematheque,” writes Steve Zilber. “The first has the boyfriend starting to teach his new girl friend how to play (just a few seconds) and the second has two Chinese soldiers playing before they’re attacked (again, just a few seconds). Zilber is president of the Cleveland Go Club. 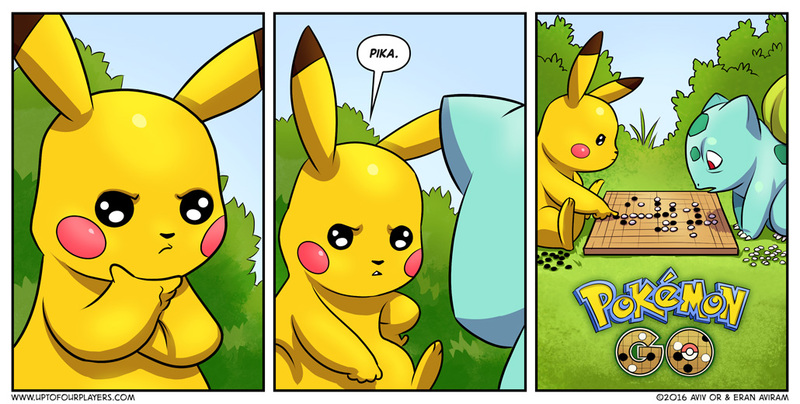 Pokemon Go Go: Thanks to Matt Lecin and Ramon Mercado for sending this in. 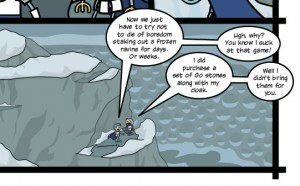 Order of the Stick: “Order of the Stick is my favorite D&D type role-playing comic strip,” writes Mark Gilston. “So I was delighted to see the go reference by the Oriental style paladins” in this recent strip. 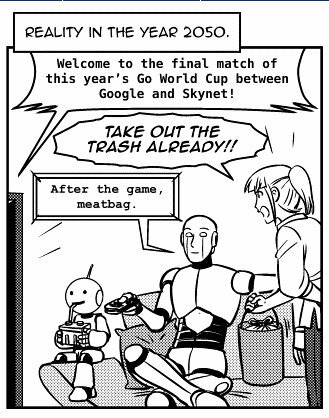 Sandra and Woo: “From the webcomic ‘Sandra and Woo’ I could not help but laugh at the ‘Reality in the year 2050′ panel,” writes Taylor Litteral. 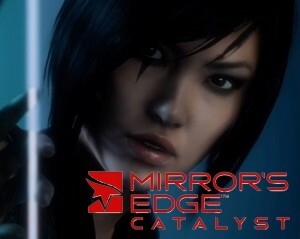 Go Spotting: ‘Mirror’s Edge: Catalyst’; Hell on Wheels? 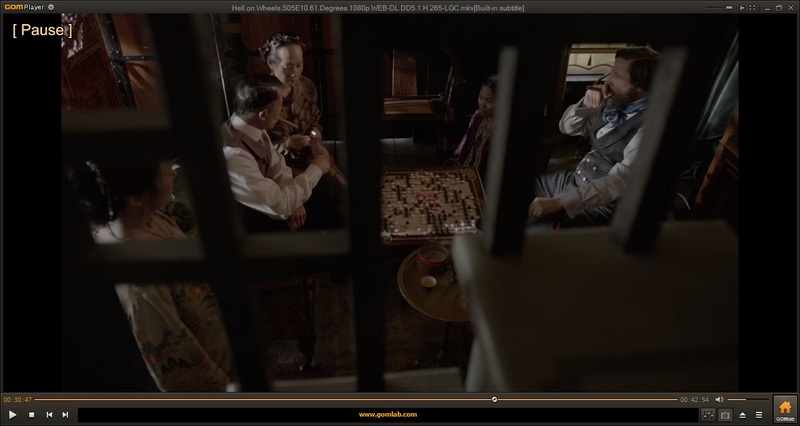 Also: We’ve also received a report from Gordon Castanza that during “Hell on Wheels” Season 5, Episode 10, titled “61 Degrees,” “between minutes 43 and 45, a game of go is being played.” If anyone can track down a screenshot, please send it along! “I just listened to one of my favorite podcasts called Freakonomics Radio with Steven Dubner,” writes Aaron Murg. 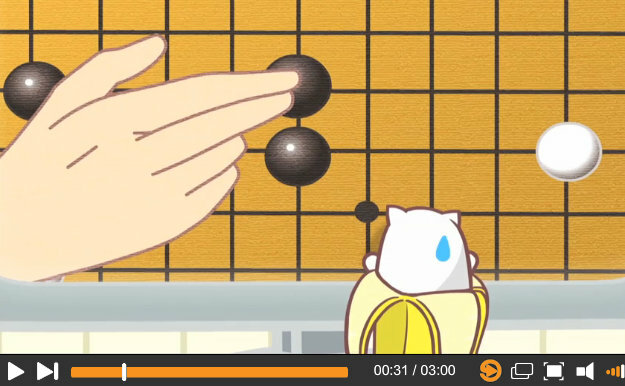 The title of this episode is called “How to Win Games and Beat People,” and it is all about board games. In it, they interview a board game historian who mentions go within the first 5 minutes! The podcast would be very interesting to any board game player and informational as to the economics of board games.